Located 5 minutes away from Orléans’s city centre, enjoy the ideal location of our establishments during your business trips, your stopovers or your vacation with friends and family. Discover Orleans, its charming town center, and the Vallée de la Loire with its castles. Close to major motorways, our three hotels - Comfort Hôtel Orléans Sud, Comfort Hôtel Olivet, Comfort Hôtel Olivet Provinces - offers quality services, a cosy atmosphere and a warm welcome that will make your stay in Orleans a success. Ideally located near the Zenith, the Exhibition Centre and the Congress Center, this 3-star hotel offers 40 high-end roomswith chic decoration and a quiet environment minutes away from Orleans’s city center. The full breakfast, served as a buffet, offers a wide selection of drinks, sweet and salty, cold and hot dishes, to start the day in the best way possible. For a complete stay, our restaurant, opened from Monday to Thursday evenings, invites you to share exceptional moments around buffets composed of a simple and family cuisine. In the heart of the “Parc des Expos Sud” area, the Comfort Hotel Orléans Sud offers a meeting room for your events such as study days, seminars, demonstrations, meetings or for your personal events. 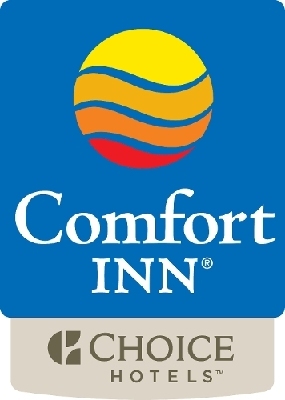 Let yourself be seduced by the unbeatable value for money at the Comfort Hotel Olivet: this 2-star hotel benefit of an ideal location, minutes away from motorways, nestled between Orléans, Olivet and Orleans La Source city centre. Enjoy complete comfort at a low price. From the Single Room to the Family Room, each of the 55 rooms has an en suite bathroom and free high-speed Wi-Fi. Come and enjoy the warm atmosphere of our restaurant that will invite you to enjoy a full buffet at a low price. To start the day, breakfast is also served as a buffet every morning. Discover the friendly and elegant atmosphere of the Comfort Hotel Olivet Provinces. Our establishment offers 59 contemporary upscale rooms. Its ideal location, near the main roads and at the crossroads of Orleans, Olivet and Orleans La Source; makes of this establishment the ideal starting point for your touristic stays, your stopovers and your business trips. By foot or on bike, treat yourself with a peaceful moment on the river banks of the Loire, or discover the unique Parc Foral de la Source just minutes away from the Comfort Hotels Orléans. Orléans will also be the ideal starting point to discover the castles of the “Vallée de la Loire”: the mythical Château de Chambord, only 45 minutes away, is for example the ideal place for a romantic getaway, a professional seminar or a family holiday in the Loire Valley!